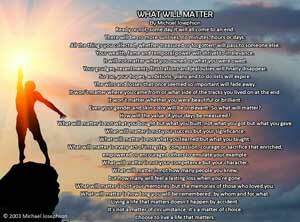 Living a Life That Matters Are you examining your life? Are you examining your life? Today, Socrates is thought of as one of the world’s great philosophers, but to the leaders of Greece he was annoying and dangerous. Claiming that “the un-examined life is not worth living,” he roamed the public places of Athens asking questions that challenged assumptions and beliefs and demanded that people think about social justice and personal worthiness. In the end, he was sentenced to death for his subversive ideas. He refused an opportunity to escape since it would violate his principles. “My friend,” he reportedly asked people, “are you not embarrassed by caring so much for money, fame, and reputation and not thinking of wisdom and truth and how to make your character as good as possible?” Socrates wasn’t just trying to make people feel bad, he was encouraging them to be better. You see, Socrates was an optimist about human nature. He believed wickedness is the result of ignorance, and those with true knowledge will act rightly. His question about priorities is relevant today, yet it takes courage and integrity to examine our motivations and goals and to measure our attitudes and conduct in relation to our principles. Are you trying to make your character as good as possible? Are you as honest as you should be? Do you treat everyone with respect, even those you don’t like? 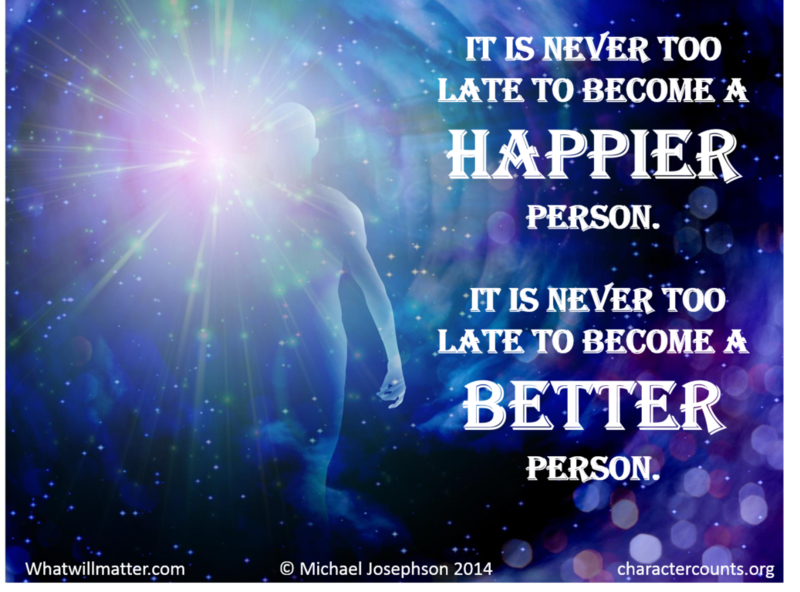 Do accept responsibility for your choices? Are you doing what you can charitably, and are you doing your share as a good citizen? Socrates had extraordinary wisdom. But the teachings of Christ sheds even further light on wisdom. Our fallen nature and participation in sinful acts “darkens our minds”. It literally affects our reason – so that we can no longer listen to reason. Seeking virtue and participating in “good acts” helps bring light to our minds and we embrace reason and wisdom. A great writing and one that needs to be read and thought about many others. A good companion to this way of thinking is Kohlberg’s “Moral Reasoning.” It is definitely worth reading, even though to digest it thoroughly takes some time. Excellent reading!